How many marketing tools does it take to grab a reader for keeps? For some authors, the answer is one: an autoresponder sequence. It can be overwhelming to keep up with Facebook, Twitter, Pinterest, Tumblr, and Instagram when you know you need to spend your time writing. Autoresponders, which are the automated messages sent out after a reader subscribes to your email list, allow you to connect with readers without daily upkeep. By creating a sequence of these messages to go out a certain number of days after subscription, readers learn about who you are and what you have to offer in the correct order. You can use Autoresponders as a feature on AWeber or the premium edition of Mailchimp. Using a well planned out series of messages can defray those costs, if not double your investment by gathering more engaged readers. Most email list building companies prompt you to set up an initial confirmation email. Some authors attempt to pack this message full of information. They might put links for buying all their books, ways to join them on social media, and entry forms for giveaways galore. Take a look at this message as a reader. If someone sent you an email for the first time with 10 different links, how would you engage with it? Perhaps you’d click the first or second link, but it’s rare that you’d get all the way to number 10. Keep things simple with all of your autoresponder messages. The first one should do little more than welcome the reader to your list and thank them for joining. You can also post a download link to some free material like a prequel novella or the first 10 chapters of your series-starting book. Write your messages in the style of your books. If you pen whimsical middle grade fantasy novels, you shouldn’t use a cut and dry sales letter approach. The readers who found you might have a vague idea of the style you use. Stick to it in your email messages. Lastly, end your emails with a question if you’d like to see more engagement from your list. The readers who respond are major candidates for potential true fans. You’re here! You’re here! Let me be the first and only person to welcome you to my email list. Over the next couple of weeks, you’ll receive a few messages about who I am, what I do, and why I spend most of my time locked in a room writing. For all your troubles, I’d love to give you a peek at the first 10 chapters of my novel, Ferrick the Dancing Viking. Click here to pick it up and start reading Ferrick’s fantastical adventures. It means a lot to me that you opted into this list. Thank you for signing up and joining this wild and crazy ride. Are there any types of emails you’d like to see me send going forward? Shoot me a quick message to let me know. Send this email right after readers sign up to your list. Remember that this message will go to everyone who signs up for your list. Put yourself in your readers’ shoes and guess at what kind of tone you’d like to set for the rest of your emails. Your readers receive hundreds of emails a week. Even if they read your first autoresponder, there’s a chance they might have neglected to download your free gift. Additionally, some readers with low technical knowhow may have had an issue getting the book onto their devices. This second message is a second chance for getting that gift into their hands. It’s a simple message, but you can use your own style to spice it up. I know, it feels like I just emailed you. Ferrick Flogenhoffel, my main character, feels the same way when his parents bug him about his chores when all he wants to do is dance! I’m back in your inbox today because I wanted to make sure you were able to download Ferrick’s adventures. Here’s that link again to the free first part of Ferrick the Dancing Viking. 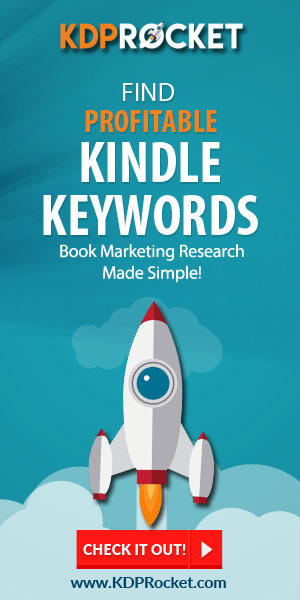 If you need any help figuring out how to get that book onto your Kindle, Nook or computer, here’s a great resource to check out. Trust me, I needed to go through this video three or four times before I got it right. Have you downloaded your free book? Let me know with a quick message. Send this email three days after readers sign up to your list. Sample subject line: Did you like the free chapters? Messages like this convert well, because sometimes readers just need that little reminder to start reading your book. It’s a busy, multi-tasking world out there, and this is your second chance to parse out your true fans. If a reader has taken the time to download your free work, they may be more interested in learning your story. This message is like one-way speed dating. You need to describe the most interesting and applicable parts of yourself in a short amount of time. You’ll want to explain how you got into writing and why you write the kind of stories you publish. Pepper the message with details about your life, such as where you’re from, what college you attended, and any interesting facts that make you stand out. In this email, you should also include ways for readers to get in touch with you. If you have an active social media account, this is your chance to link people to it. I’m back with another story, but this one isn’t about Ferrick at all. It’s about me! I started writing in the margins of my math and science textbooks back in middle school. A couple of years into my time at Central Tech State, I had the idea of a boy who couldn’t stop dancing no matter what. After taking a Norse mythology course my junior year, I started doodling pictures of a kid I called Ferrick the Viking. It took years for me to get up the confidence to write the first short story of Ferrick’s life. I received two-dozen rejections from publishers, but after self-publishing the story, I got the confidence I needed to write a full-length novel. The rest is Viking history. I’ve been posting my old Ferrick the Dancing Viking doodles on Facebook. If you’d like to connect there, here’s a link to my profile. Have you ever tried to turn one of your daydreams into a work of art? I’d love to hear about it in a reply. Send this email five days after readers sign up for your list. 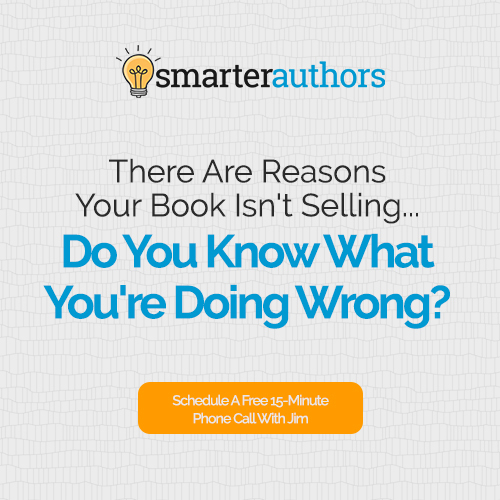 One of the master tricks some authors use is to create an advance reader list. 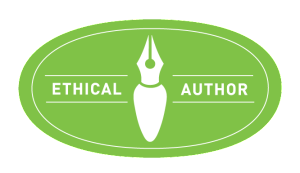 This collection of emails is a way for authors to get early reviews on their latest works. Since reviews are so important for marketing your books, it’s worth losing a few sales here and there to get the reviews up the first week you launch a new book. Create a second email list for your advance readers. Use the fourth email in your sequence to talk about reviews and send interested readers to a new signup page. You can send those who sign up a free copy of your newest books. Thanks for following along with me so far. I hope you’ve enjoyed reading Ferrick the Dancing Viking. If you have, one of the best ways to help me write more books is to leave a review of the first one on Amazon. Let me explain. New readers who stumble upon the book’s listing page are much more likely to consider a purchase if the book has 20 reviews vs. 10 reviews. I’m currently at 10, and I’m only able to keep up writing if I sell enough books. I’m sure you understand. Please leave a review of Ferrick the Dancing Viking here on Amazon. I know that it’s a pain to carve out any time in our busy lives. Heck, Ferrick barely had any time to learn salsa in the midst of his farming chores, so I understand completely. In return for you reviewing my books here and in the future, I’ll send you the next book in the series for free! Check out this page to sign up to my advance reader list. 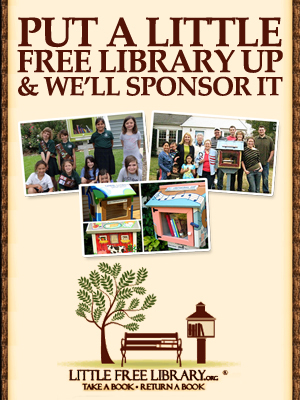 You’ll get free books to review, as well as some cool giveaways of Ferrick merchandise. Sign up today! Thanks again for your reviews. They literally keep the lights on for Ferrick and company. Would you be willing the post the review? Let me know in your reply. Send this email a week after readers sign up for your list. Sample subject line: Asking a favor, got a second for a review? It can feel like a lot to run multiple mailing lists at a time, but separating these lists out now may help you to realize your truest fans going forward. The advance readers may also help you to promote the book as part of a street team. If readers are still checking out your emails by the fifth one, you’ve probably got them hooked. That’s why it’s time to make sure they’ve got their hands on the rest of the series. Since this is a promotional email, it’s best to add some extra personality so readers don’t feel like they’re being sold to. Provide as much value in entertainment as possible and you won’t get nearly as many unsubscribe requests. You may have thought that Ferrick the Dancing Viking’s adventures were over. You were as wrong as Flogdor the Dragon wearing a tutu. Ferrick is the main character in a series of books that continues with Ferrick The Dancing Viking Two: Foxtrot Fever. You can get the book on Amazon here. I had so much fun writing Ferrick’s second adventure, but it was a lot of work too. I actually took three weeks worth of dance classes to make sure I got all his moves correct. It was a good time, but my calves were pretty sore. And here I was, thinking that my writing career would give me more time to sit. I hope you enjoy Ferrick’s continuing story. Have you ever taken dance lessons? Has Ferrick inspired you to try? Let me know. Send this email two weeks after readers sign up for your list. If you have several books available, you can leave links for those as well, though it might be best to keep them in the postscript. After all, you’re unlikely to sell many copies of book three to readers who have yet to read book two. If you’re a writer just starting out without many books, you can use this autoresponder slot as a sort of wild card. If you have a second series with completely different characters from your first or that serves as a spinoff, this is where you’ll promote that series. By now, readers are either in or out. If they love you enough to have bought books one and two, then they could be fans for life. In that case, it helps to let them know that you have other work available. You probably don’t need a hard sell here. All you have to do is tell them why the things they loved in the first series will make them adore the second one. Did you know that Ferrick has friends? Thousands of miles away from Scandinavia, Samba Sam has his own dance-related troubles to deal with in Brazil. Check out the first part of the Samba Sam series here. I created Samba Sam when I realized it’d be fun to have a whole new crew of dancing fools in other parts of the world. I hope you enjoy Sam and her friends as much as you did Ferrick and his. Where else in the world should I put my characters? Let me know with a speedy reply. Send this email three weeks after readers sign up for your list. You can also give your readers a free sample of your new series. If you’d like to go to the trouble of creating a third email list for your second series, then you can do that as well. 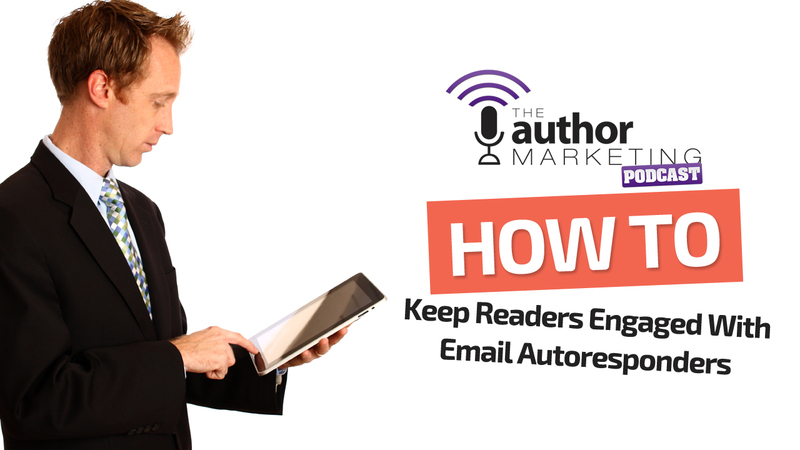 One tip from Author Marketing Institute founder Jim Kukral is to use an autoresponder to get in touch with your readers one year after they subscribe. It’s easy to fall out of touch with friends and relatives. It may be even easier to do so with the authors who readers love. This message gives you the chance to bring readers back into active participation. Also, if they’ve been following you for an entire year, it’s a good idea to give them something for their efforts. One way to go about this is to see if they’re interested in having a Google+ Hangout or a phone conversation. This may seem like a little much, but there’s nothing like going the extra mile to give a reader the experience of a lifetime. That reader could become a fan for life. 365 days ago, you subscribed to my Ferrick the Dancing Viking email list. I’m sure a lot has changed for both of us in that time, but I’m really happy that you’re still a part of the list. As a thank you, I’d love to schedule a Google+ Hangout with you sometime in the next week. We could talk about Ferrick and his adventures, what it’s like being an author, or anything that strikes your fancy feet. Let me know if you’re interested in that sort of thing. Thanks again for being such a wonderful reader! Here’s to another year of dancing fun! Send this email one year after readers sign up for your list. If a personalized hangout is too much, then you can always offer a free story instead. Autoresponders work well as a way to initially reach out to readers. They save you time because you don’t have to send individual emails to all of your fans. Then again, it’s still important to keep your mailing list active with monthly or twice monthly emails that are timelier. Autoresponders will get you part of the way there, but readers crave personal attention. If you take the time to mix occasional updates with your autoresponse sequence, your author tool belt will be light and manageable with an uncanny ability to keep your readers’ focus. Do you know of any authors that are using email autoresponders very well? 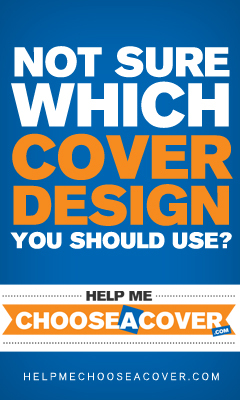 Share that with us in the comments, or share your own ideas.